This Friday night, Dec. 2nd, we’ll be having our third annual Winter Showcase. One of the highlights of the showcase is the release of the Mountain Eats Mountain EP, a work over a year in the making. Adam Lyons of Doctor Murdock has put together a one-man show of intricate arrangements and shifting times and textures that will blow the mind of the most curious of music listeners, and we can’t wait for people to hear it. 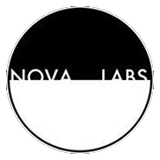 It’s been an interesting year here at Nova Labs, with a lot of transitions and adjustments being made. The recent election nonsense is still on a lot of minds, and ours is no different, but, long term, all the things that have made Nova Labs what it is will remain firmly intact – we still think community is important, and we will continue to support our weird little family here in Iowa, and we’re doubling down on this. Part of this doubling down is booking shows in our community, giving a voice to artists, and trying to generally raise the cultural acumen of our cities. We’ve partnered with the folks at Maximum Ames to do a monthly series of songwriter shows at London Underground, one of our favorite watering holes. We have another showcase planned for January already, featuring the long-awaited release of the new Bleujack album. And we’re plotting towards The Uncertainty Festival in April, which will hopefully be as big and fun as we’ve imagined it. We have a few other things in mind, but it’s good to count the chickens after they’ve hatched from the bowels of the lab. 2017 is looking like an interesting year for us, though, and we hope you’ll be part of that.